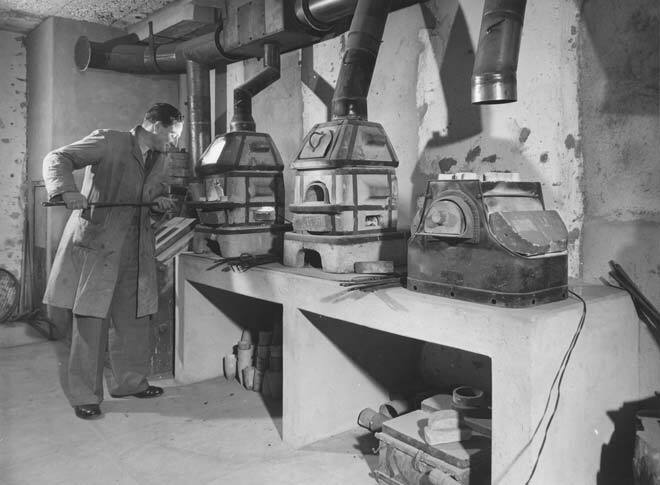 A worker at the Otago School of Mines conducts assay work in the school’s furnace room in 1949. The school was one of three in the country (the others were at Reefton and Waihī). Schools of mines trained young men (in Otago there were only 2 women graduates in over a century) in the science of mining and mineral extraction. None remain; the Otago School of Mines was moved to Auckland in 1986, but it did not last and those wanting to study mineral technology must now go to Australia.